A colleague called out to me, from the news desk, "Did you see this breaking news, Swapna?" I froze when I saw the breaking news that read: "Kalpana dead." My first thought was, "There's been some mistake, this can't be true." But this news turned out to be true. Many actors in the Malayalam film industry are still in a state of shock on hearing this news. People from all walks of life are paying emotional tributes to her. She was an accomplished actress but that's not the only reason why people love her. She mingled with people easily and warmly. She showed love and warmth to everyone she met. Like hundreds of Malayalam movie goers, I too grew up watching many of Kalpanachechi's comedy sequences. Charlie was her last film, she had a heart wrenching role in it as 'Queen Mary'. I had closed my eyes in the scene where she embraces death. As actor Prithviraj tweeted, "What a sign-off in Charlie!" My brother Manoj B Menon is like a sibling to her. Kalpana chechi and her mother had visited my home in Palluruthy a few times. In her interactions with my parents, she was simple, almost child-like and full of humility. She was Swami's devotee and longed to hear about Swami. She also liked to take Swami's vibhuti's packets that are kept in our puja room from my father. My mother jokingly told her, "In person, you are like a college girl. But in films, you come across very differently." She agreed with my mother and said that people who met her for the first time make the same observation about her personality. When she was in Delhi to receive the national award for the best actor in a supporting role, I spoke to her for the first time on the phone. She was full of happiness, almost child like. She said that she feels great to share the moment with her daughter. She jokingly said that her mother sat up all night to complete reading my book and gave all of them "lectures" based on it. Then, she lovingly told me to keep writing and I told her that it means a lot to me that she had said so. She also told me that whenever she heard my father talk of Swami, she felt Swami's presence around her. Then I told her that I am writing another book on Swami and would like to document her experiences as a Sai devotee. She said, "Why not? Lets meet next time in Kochi. My mother will have many experiences to share." Her bubbly voice and positive energy humbled me. She apologized for not meeting in Delhi as she had a meeting with the President and a few other commitments in New Delhi. We agreed to meet the next time we are both in Kochi - a meeting that never happened. What touched me was her humility. She valued people, no matter who they are and she gave respect to every individual she met. 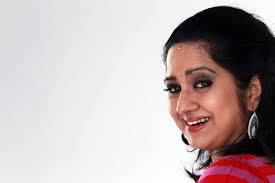 Kalpana chechi, rest in peace. We will always miss the joyous laughter and love you brought into our hearts and homes. But you live on in our hearts. Shine on, Kalpana chechi. Your place is among the stars. Keep smiling and shining your light among the celestial stars.